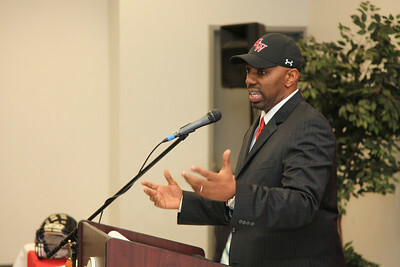 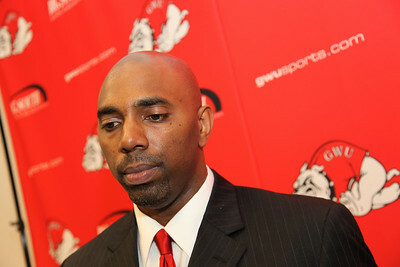 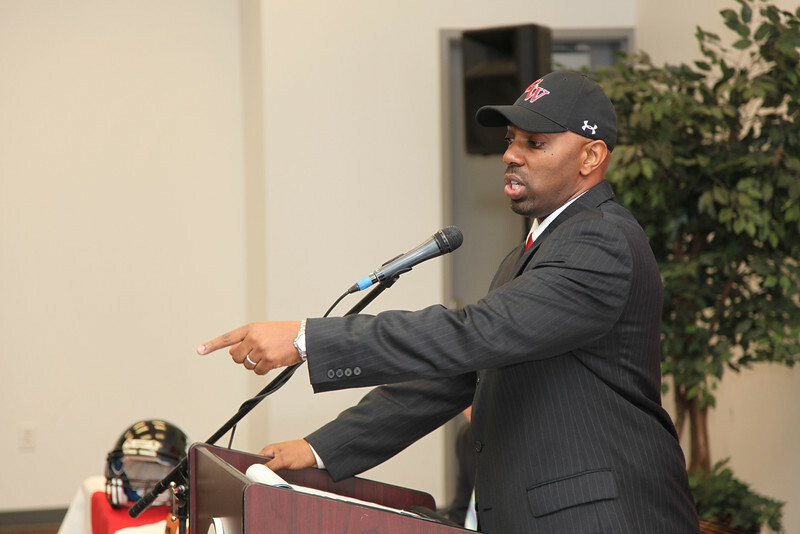 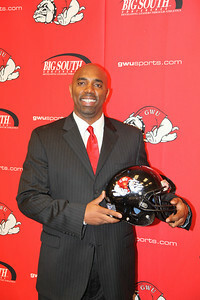 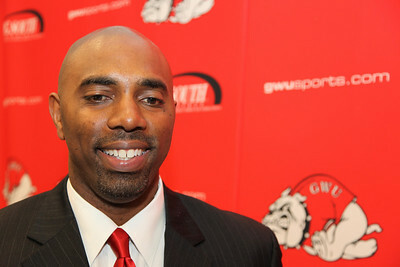 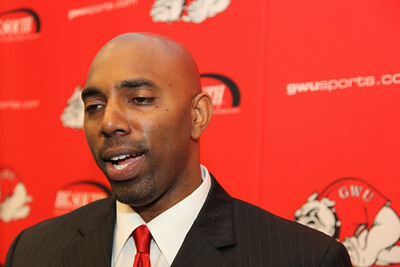 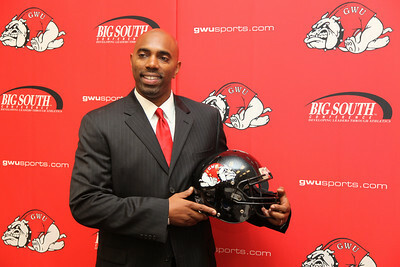 Ron Dickerson, Jr. was named Gardner-Webb Head Football Coach on January 26, 2010. 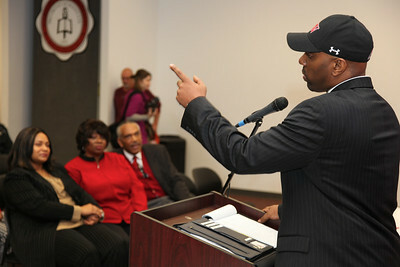 Ron Dickerson, Jr. who was named Gardner-Webb Head Football Coach makes a point while his father former NFL great Ron Dickerson, Sr. in the front row listens. 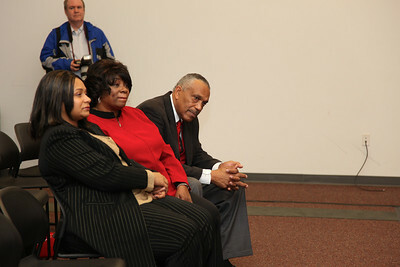 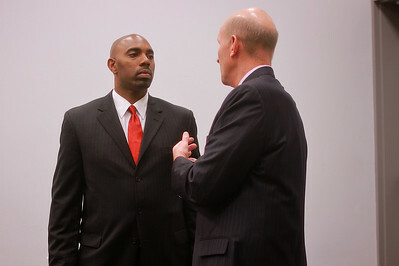 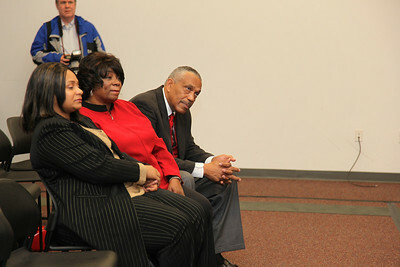 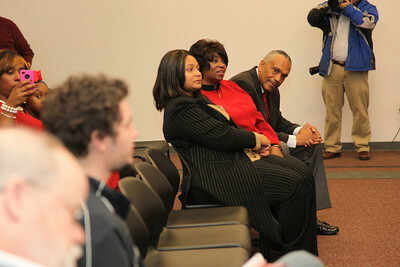 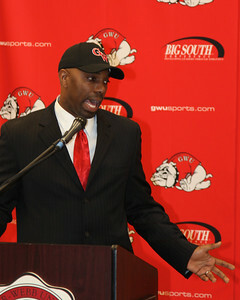 Ron Dickerson, Sr. listens to a reporter's question at the press conference where his son Ron Dickerson, Jr. was named Gardner-Webb Head Football Coach on January 26, 2010. 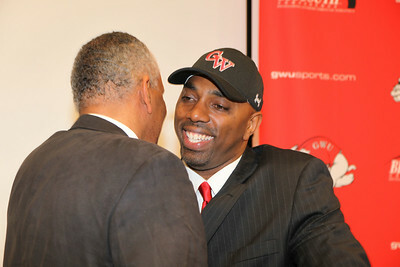 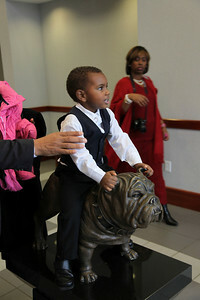 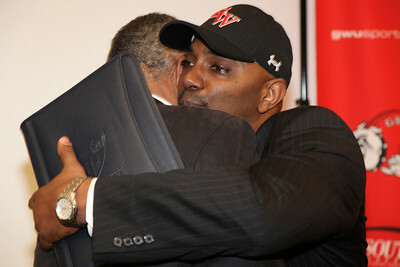 Ron Dickerson, Jr. hugs his father after he was named Gardner-Webb Head Football Coach on January 26, 2010. 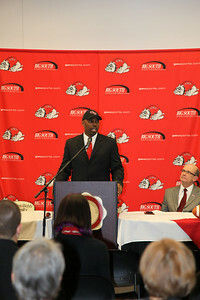 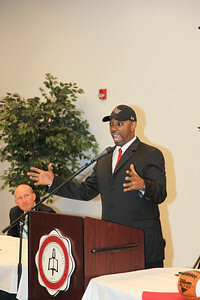 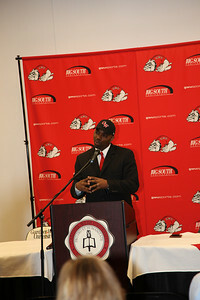 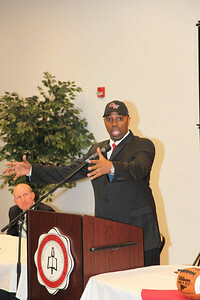 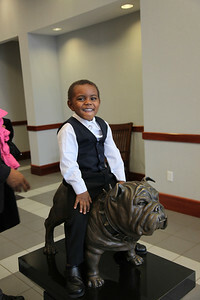 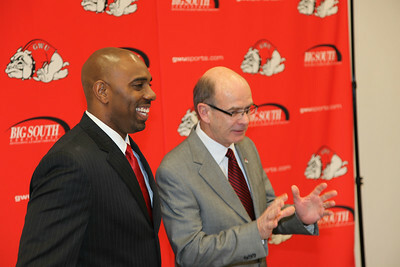 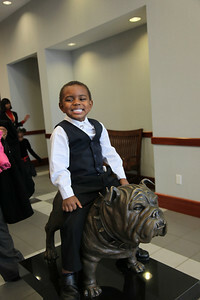 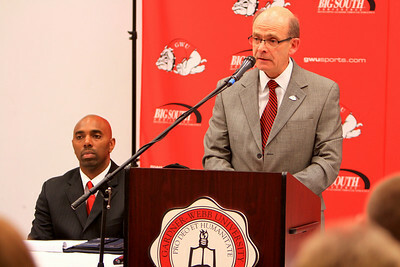 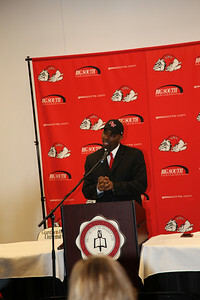 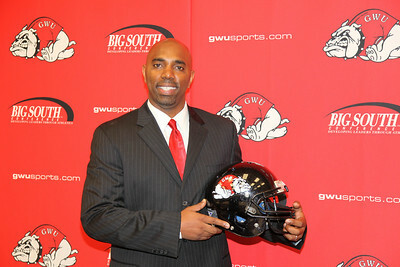 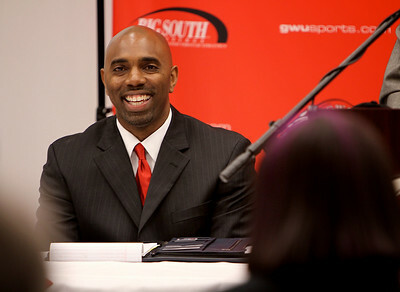 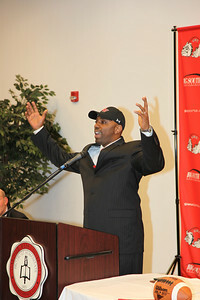 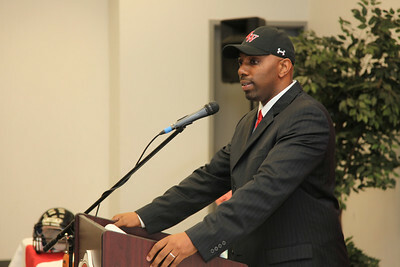 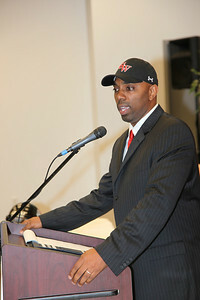 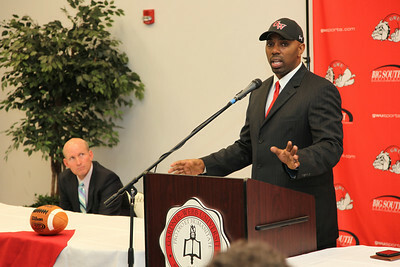 Ron Dickerson Jr. named Gardner-Webb's football coach; January 26, 2011.